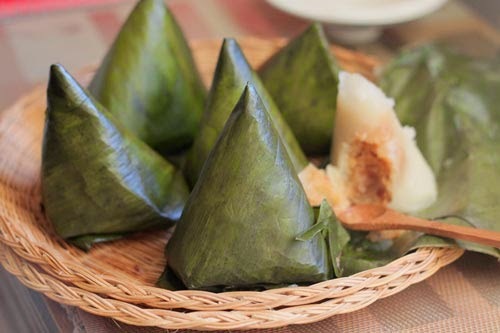 Steamed Sticky Rice Cake with Coconut Filling (Bánh Ít Nhân Dừa) which came from many amazing Vietnamese Food Recipes is known belong to Southern Vietnamese people. With all simple ingredients are easy to find, they create a fantastic cake for our cuisine. 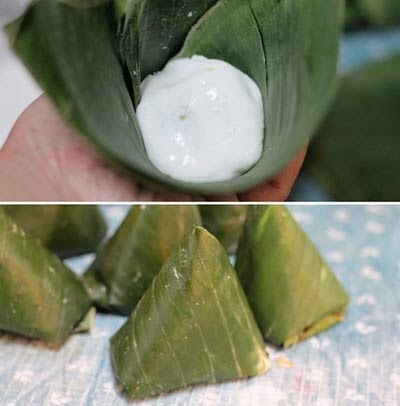 Wrapped in banana leaves, it will bring a different flavor which no one can make. Moreover, the filling is made from coconut meat extra with some peanut will the best gift for who you love. 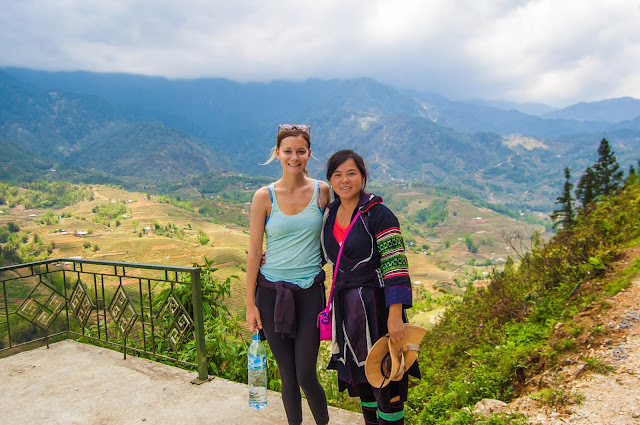 Now, let us start making one of amazing Vietnamese Food Recipes, ok? 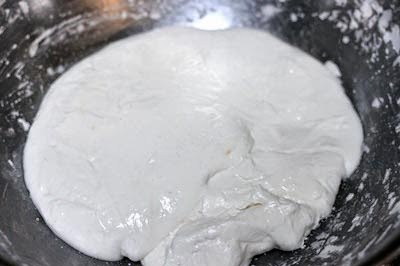 Step 1: Making cover: Mix sticky rice flour with ½ teaspoon salt, 2 tablespoons sugar, pour slowly hot water and stir gently until this mixture becomes soft and smooth. Then, use your hands to knead in 5 minutes, cover it by nylon bag and wait for 1 hour. Step 2: Roast peanut and smash quickly. 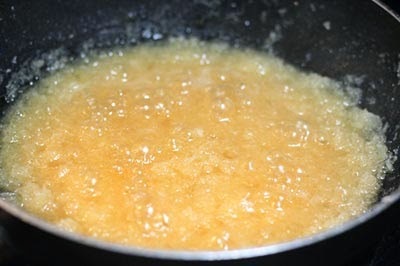 Mix 110g sugar with 150ml water, bring to cook. 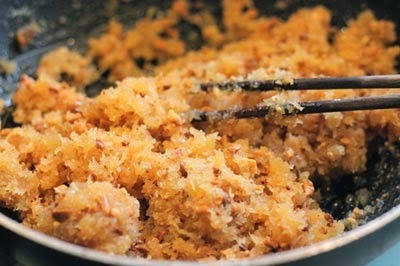 Step 3: Cook until the sugar turns to caramel color and quickly add grinded coconut meat into pan, cook more 5 – 10 minutes, turn off the heat. 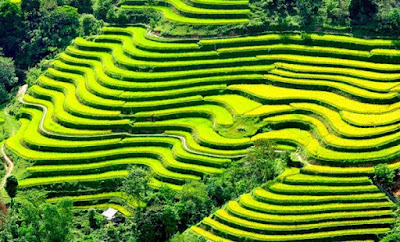 Here is the important step to create the filling for one of interesting Vietnamese Food Recipes. Step 4: Add more roasted peanut, tapioca starch and a little salt, mix well and wait to reduce heat. Use hands to roll into circle shapes. 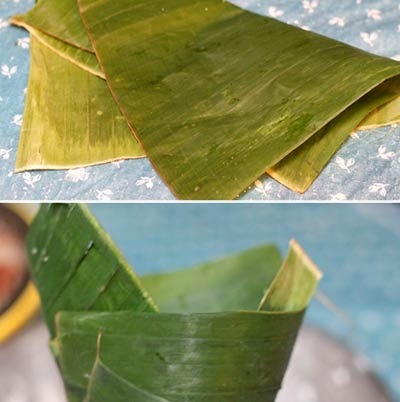 Step 6: Create banana leaves into funnel shapes. 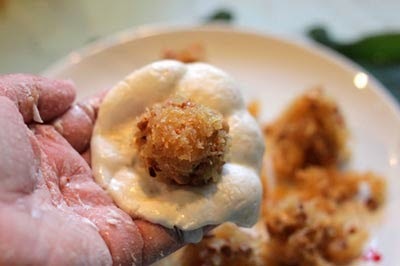 Step 7: Cut the flour in step 1 into equal pieces, press gently, add coconut filling on the center, roll and cover well. 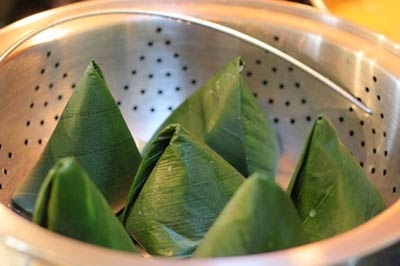 Step 8: Put one by one ball in step 7 into each banana leaf in step 6, fold the edges carefully. Continue until you finish all balls. Step 9: Bring to steam in 20 – 25 minutes. 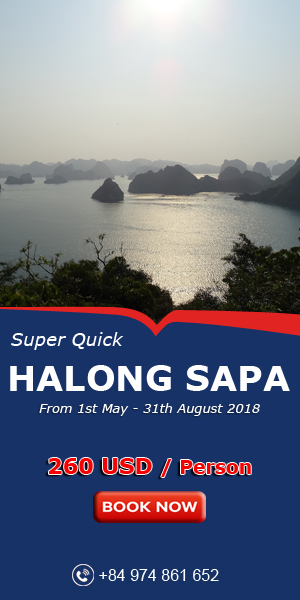 Finally, you already finished one of amazing Vietnamese Food Recipes. With this cake, you can eat when it is hot or cold is all delicious. 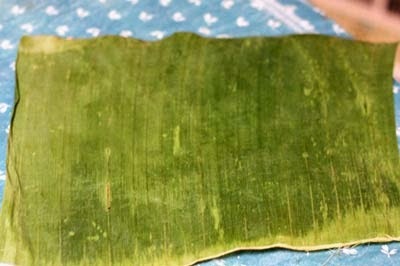 The flavor from banana leaves is absorbed into flour will create an interesting flavor which you ever tasted before. 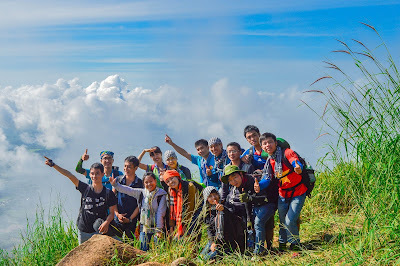 Trust me; you will love it. Good Luck for your cooking and have a great weekend.